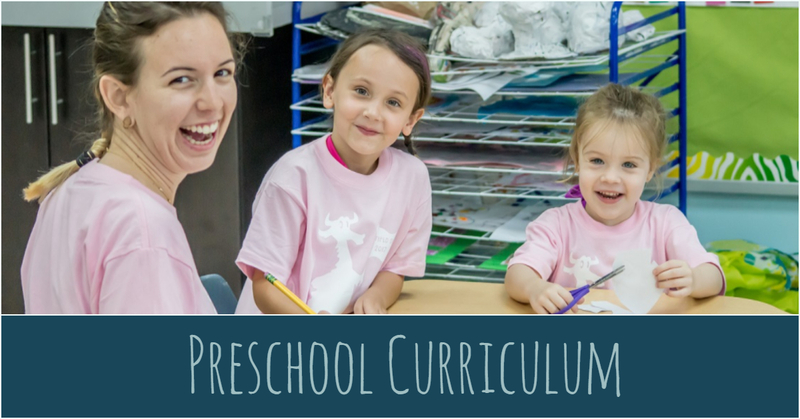 Our main program is Creative Curriculum, a comprehensive curriculum that addresses social-emotional development as well as literacy, math, social studies, science, technology, art and fine and gross motor development. It balances both teacher-directed and children-initiated learning. It emphasizes different learning styles and builds upon the student’s strengths and interests. Teachers follow goals and objectives that can be addressed regularly. The classroom environment is set into learning centers and classroom structure follows a daily routine and schedule for every student to thrive, experience positive relationships and learn problem-solving skills. Everyday Counts is our math program. A program designed to enrich daily math instruction, reinforce concepts and provide differentiation in 10-15 minutes a day. Lessons are interactive, fun and based on everyday activities involving number sense, computational fluency, patterns, sorting and grouping, predictions and reasoning. Children learn at their own pace and through different methods. Handwriting Without Tears is a program that aims to teach legible and fluent handwriting easily and automatically for students. It teaches the easiest skills first, then builds upon prior knowledge. Letters are taught in a sequence using multisensory techniques and consistent habits.